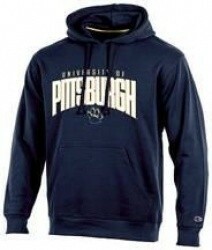 Boscov's has Men's College Hoodies in your choice of many teams for $19.99. You will get free shipping at only $49 (normally $99). Hurry for the best selection. 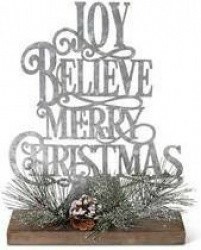 Boscov's has 50% to 75% off over 2,000 Holiday Clearance Items. Save on holiday decor, clothing, kitchen & dining items, candy & gourmet treats, pajamas and much more with prices starting at only $1.49. Plus, during this sale you will get free shipping at only $49 (normally $99). Hurry for the best selection. 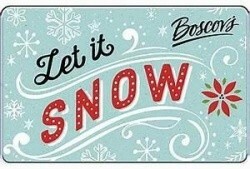 Boscov's is offering 15% off Gift Cards, plus they have up to 80% off Great Cold Weather Deals to keep your family warm and cozy all winter long. Free shipping is also included on all orders of $25 or more. Offers end Sunday night. Boscov's is having a Veteran's Day Furniture Sale and offering $200 to $1,000 off select furniture & recliners, discounted prices are shown. 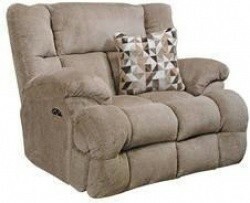 Save on hundreds of styles of sofas & loveseats, chairs and recliners. See individual items for shipping information, free store pickup may be available. Boscov's is having a limited time Holiday Home Sale and offering 20% to 70% off thousands of items including dining, home decor, bed & bath items and more. Get your house holiday ready with this great sale. Plus, during this sale you will get free shipping at only $49 (normally $99). Save up to 53% off! 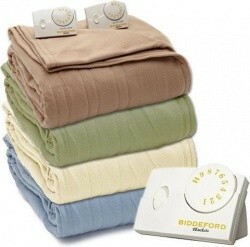 For a limited time only, Boscov's has the Biddeford Comfort Knit Heated Blanket in your choice of several colors and 4 sizes for $49.99-$79.99. Also, free shipping is included with this deal. 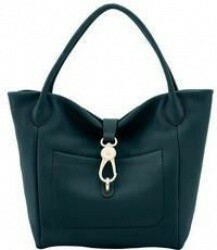 Right now, Boscov's is offering 40% to 75% off hundreds of Fall Fashion & Designer Handbags, discounted prices are shown. And, for a limited time only, you will get free shipping at only $30 (normally $99). Boscov's is having a limited time At Least 50% off Sale with 50% to 83% off over 29,000 items from across the site. Plus, during this sale you will get free shipping at only $49 (normally $99). Boscov's is having a limited time Buy More, Save More Handbags & Wallets Sale with up to 80% off, plus, get an extra 15% off when you buy 1, or an extra 25% off when you purchase 2 or more. Discount will apply in cart. Plus, during this sale you will get free shipping at only $69 (normally $99) or save on shipping by choosing free in-store pickup. Boscov's is having a Special Fall Savings Sale with up to 80% off thousands of items from across the site. Save on shipping by choosing free in-store pickup. Sale ends Saturday night. Boscov's is having their First of Fall Fashion Sale with up to 73% off styles for the family. Save on apparel, shoes, handbags and more. Now order online and choose free store pickup. Sale ends Sunday night. Boscov's is having a VIP Days Sale with up to 80% off deals from across the site. Save on luggage, apparel, footwear, home goods, small appliances and much more. And, you will get free shipping at only $49 (normally $99). Limited time sale! Boscov's offers your choice of more than 40 styles of 7-Piece Comforter Sets in any size for $39.99. And, you will get free shipping at only $49 (normally $99). Today only, Boscovs.com is offering an extra 20% off in their huge Labor Day Sale, discount will be taken in cart. And, during this sale you will get free shipping at only $49 (normally $99). Boscovs.com is having a Fall Sneak Peek Sale with up to 70% off thousands of items from across the site. And, during this sale you will get free shipping at only $49 (normally $99). Boscovs.com is having a limited time Back to School Sale with up to 78% off over 5,000 items from across the site. Plus, during this sale you will get free shipping at only $35 (normally $99), or choose free store pickup. Boscovs.com is having a 4th of July Sale with 50% to 80% off over 29,000 items for the home & family. Plus, during this sale you will get free shipping at only $49 (normally $99). Sale ends Thursday. Boscovs.com is having a Father's Day Sale with up to 68% off great gifts that dad will love. Plus, during this sale you will get free shipping at only $49 (normally $99). Boscovs.com is having a Big Spring Sale where everything is at least 50% off. 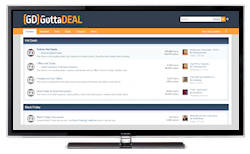 Find deeply discounted items from all departments. Plus, during this sale you will get free shipping at only $49 (normally $99). Sale ends Tuesday. Boscovs.com has over 800 Mothers Day Gift Ideas and Presents that mom will love with prices starting at only $1.80. Plus, during this sale you will get free shipping at only $49 (normally $99). Boscovs.com is having a huge Winter Clearance Sale with up to 85% off over 10,000 items from all departments. Plus, during this sale you will get free shipping at only $49 (normally $99). Sale ends Saturday night. Boscovs.com is having a Father's Day Sale with up to 68% off deals for dad including a selection of clothing, watches, accessories, and more. Plus, during this sale you will get free shipping at only $49 (normally $99). Boscovs.com is having an Easter Sale with up to 72% off goodies for the home and family. Plus, during this sale you will get free shipping at only $49 (normally $99). Boscovs.com is having a Winter Blowout Clearance Event with up to 80% off thousands of items for the home and family. Plus, during this sale you will get free shipping at only $49 (normally $99). Sale ends Tuesday night. Boscovs.com is having a Be Ready for Valentine's Day Sale with 40% to 75% off items from all departments. Plus, during this sale you will get free shipping at only $49 (normally $99). 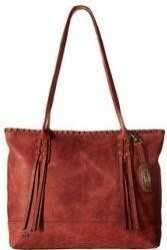 Originally $168.00, Boscovs.com has the Born Genuine Leather Athena Tote in Cherry for $39.99. This item also currently includes free shipping. Boscovs.com is having a VIP Sale with up to 75% off home items, luggage, apparel, and more. Plus, during this sale you will get free shipping at only $49 (normally $99). Boscovs.com is having a Father's Day Kickoff Sale with up to 80% off clothing, shoes, watches, and more. Plus, get free shipping on all orders of $99 or more. Boscovs.com is having an Eggciting Deals Sale with up to 75% off items from all departments. 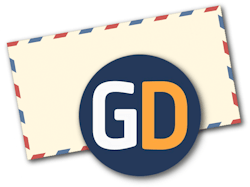 Plus, during this great sale you will get free shipping on all orders of $49 or more (regularly $99). Web buster! Regularly $69.99 to $79.99, Boscovs.com has your choice of 3 Lasko Premium Ceramic Heaters for $29.99 each. You will also get free shipping on these items. Mid-week special! 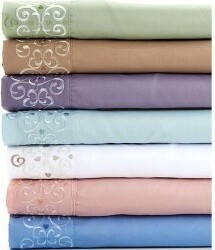 For a limited time only, Boscovs.com has the Ashley Cooper Embroidered Microfiber Sheet Set in your choice of 5 colors, in any size for $19.99. Shipping is free on orders of $99 or more. 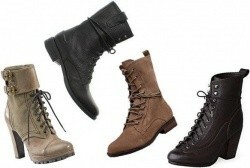 Boscovs.com is having a Women's Boot Sale with 57 styles to choose from for $17.99 per pair, price will drop in cart. Plus, get free shipping on all orders of $25 or more. Sale ends Saturday. 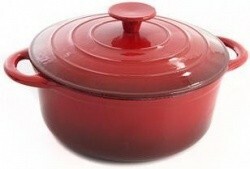 Regularly $79.99, Boscovs.com has the Kitchenworks Enamel Cast Iron 5qt. Dutch Oven in your choice of 5 colors for $29.99. Free shipping is also included with this deal. Boscovs.com is having a Holiday Sale with 50% to 75% off items from all departments. Find super deals on Carters and OshKosh, clothing, footwear, handbags, fragrances, home items and so much more. Plus, get free shipping on all orders of $25 or more. Boscovs.com is having a Huge Sale with up to 75% off in all departments. Plus, during this limited time sale you will get free shipping on all orders of $25 or more. Sale ends Saturday 10/31. Regularly $39.99 to $49.99 each, Boscovs.com has the Vellux Ultra Touch Blanket, offers heavyweight warmth and lightweight comfort, in your choice of 3 colors, in any size for $19.99. Also, for a limited time only, free shipping is included on all orders of $49 or more. Boscovs.com has the Honeywell Permanent True HEPA SilentComfort Air Purifier for $79.99. Also, free shipping is included with this deal. 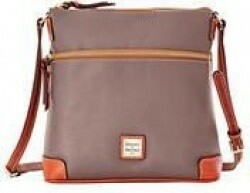 Boscovs.com has the Dooney & Bourke Sanibel Medium Tote in Hot Pink for $40.80. Also, for a limited time only get free shipping on all orders of $49 or more. Regularly $60.00 Boscovs.com has their Pop Up Pet Beds in your choice of 4 styles for $14.99 each. You will also get free shipping on orders of $30 or more through Tuesday 8/18..
Boscovs.com is having a Dooney & Bourke Sale with handbags, wristlets and coin cases starting at only $34.80. Also, free shipping is included on these items.